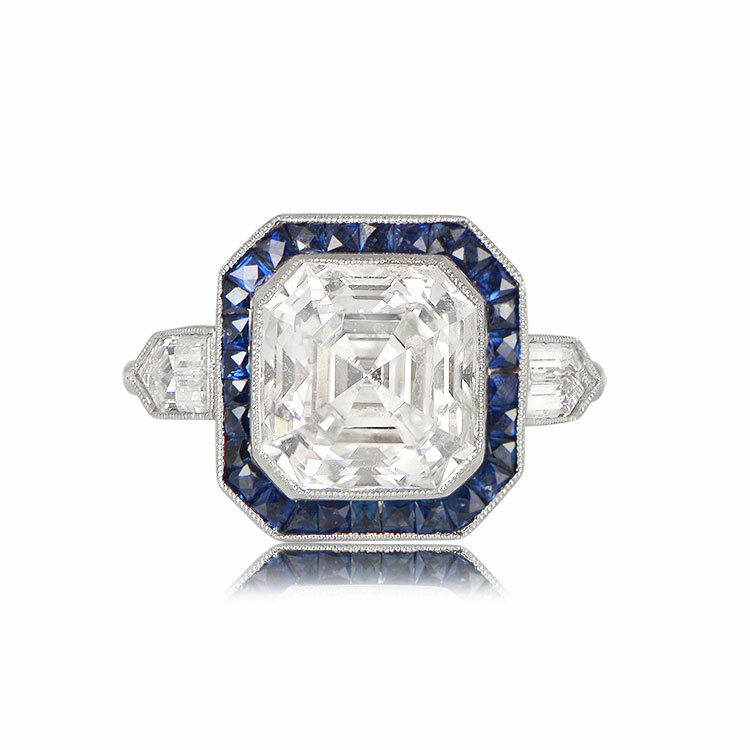 A stunning Asscher cut diamond and Sapphire Ring. 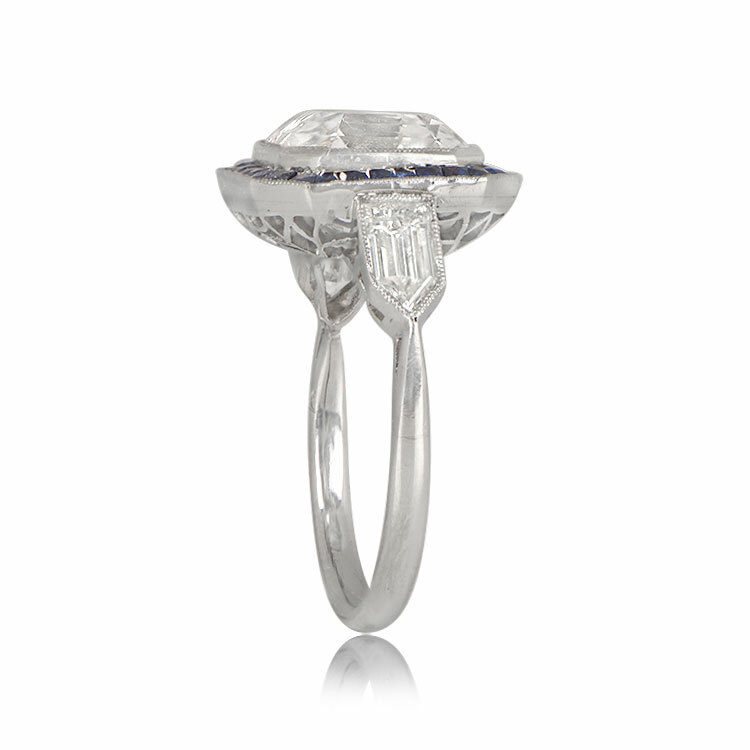 The ring features a very lively GIA certified 4.52 carat antique Asscher cut diamond which is I color, VSS2 clarity. It is surrounded by a bezel of French cut Ceylon sapphires. Two straight lined bullet shaped diamonds are bezel set on each shoulder with a total additional diamond weight of 0.76 carats. 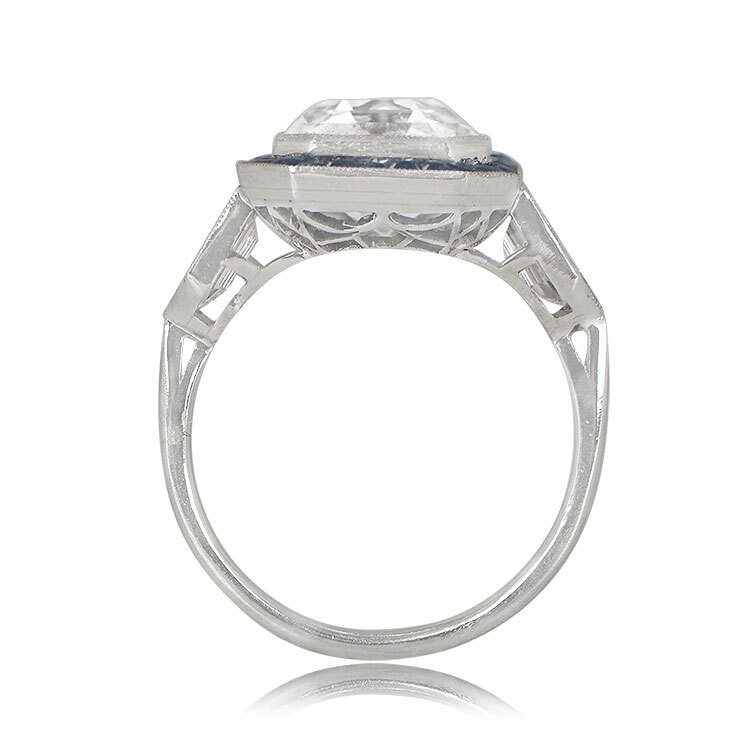 The known measurements of the center Asscher cut diamond is 9.61mm x 9.22mm x 6.28mm. 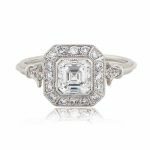 An antique asscher cut this size and quality is very rare. 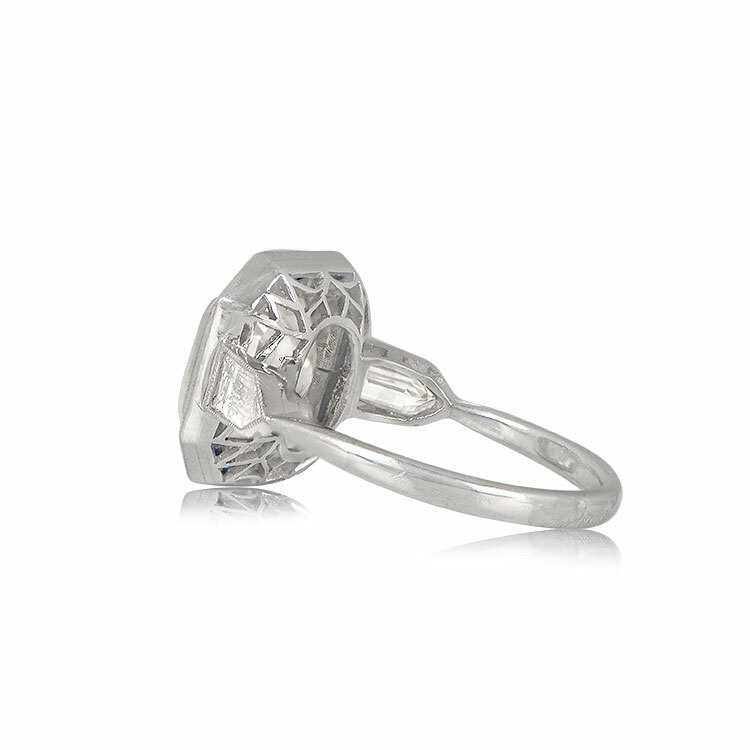 If you have any questions about our Auray ring, please feel free to contact us. 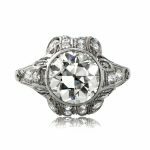 SKU: 12130 Categories: Asscher Cut Engagement Rings, Diamond and Sapphire Engagement Rings, Vintage Engagement Rings - Contact us and request additional pictures.